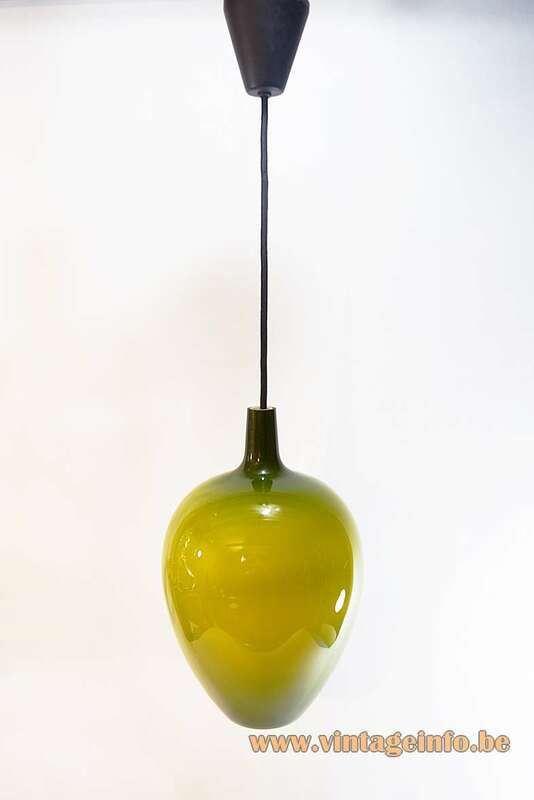 Materials: Hand blown crystal glass, white on the inside, olive green on the outside (incamiciato). Some metal parts. Bakelite socket. 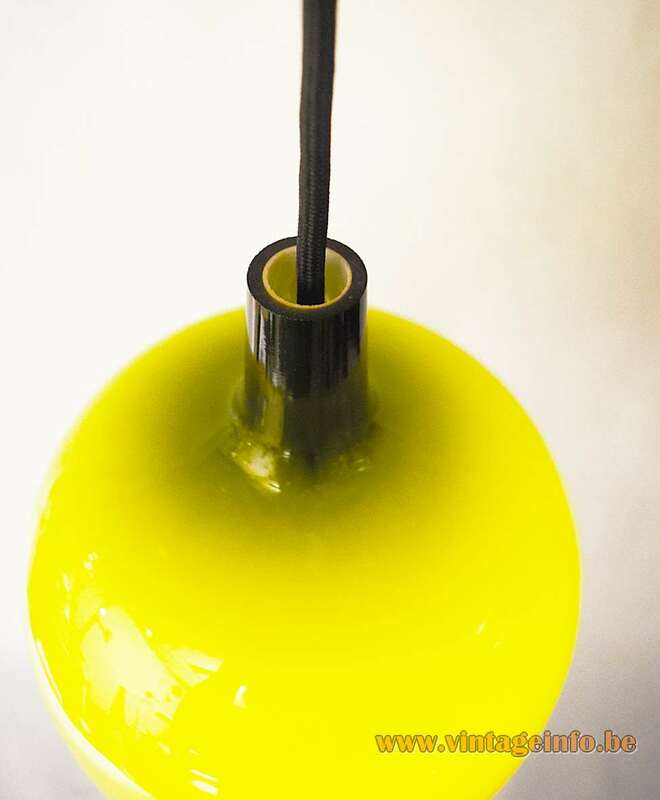 Any type of light bulb with an E27 screw base can be used. 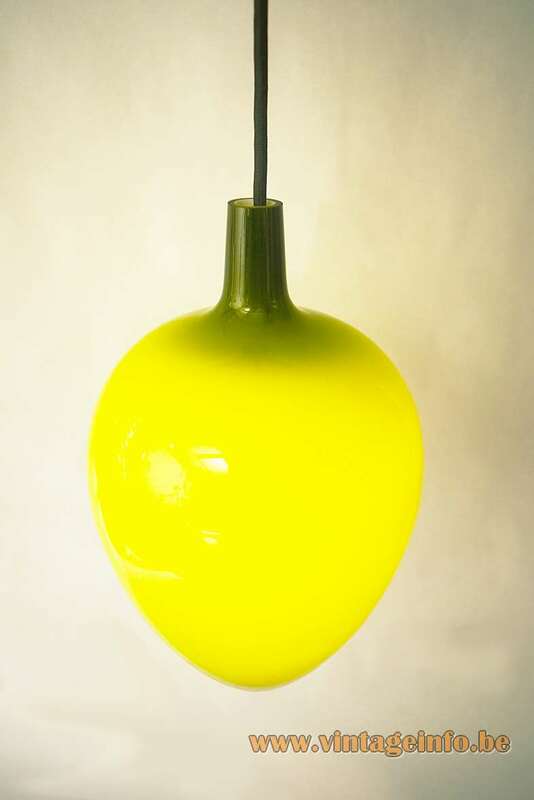 For this lamp preferable an opaque/white or frosted bulb. 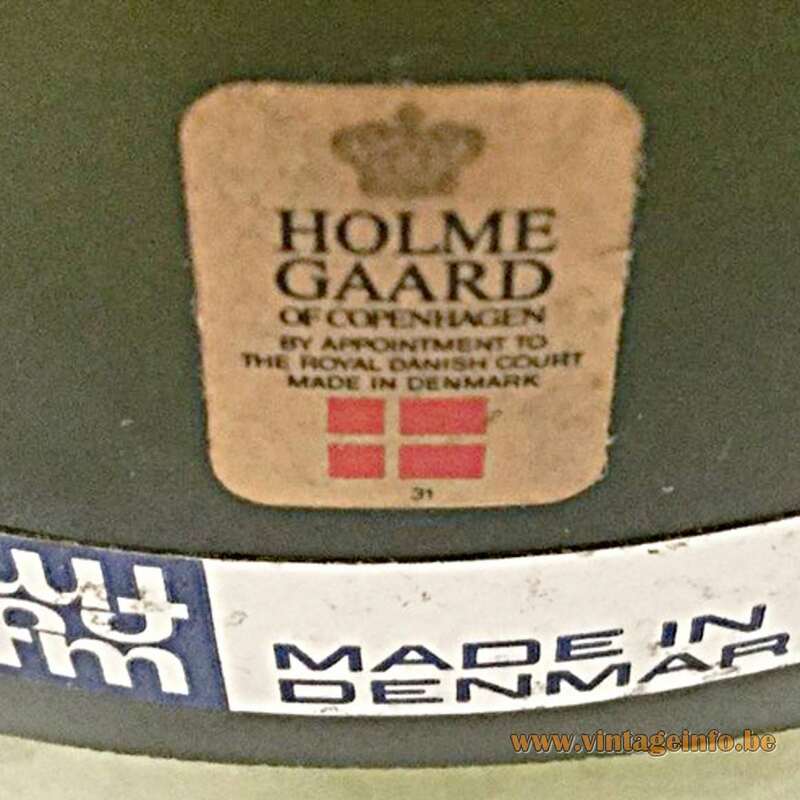 Manufacturer: Fog & Mørup A/S and Holmegaard, Denmark. Other versions: Made in many colours, one size. 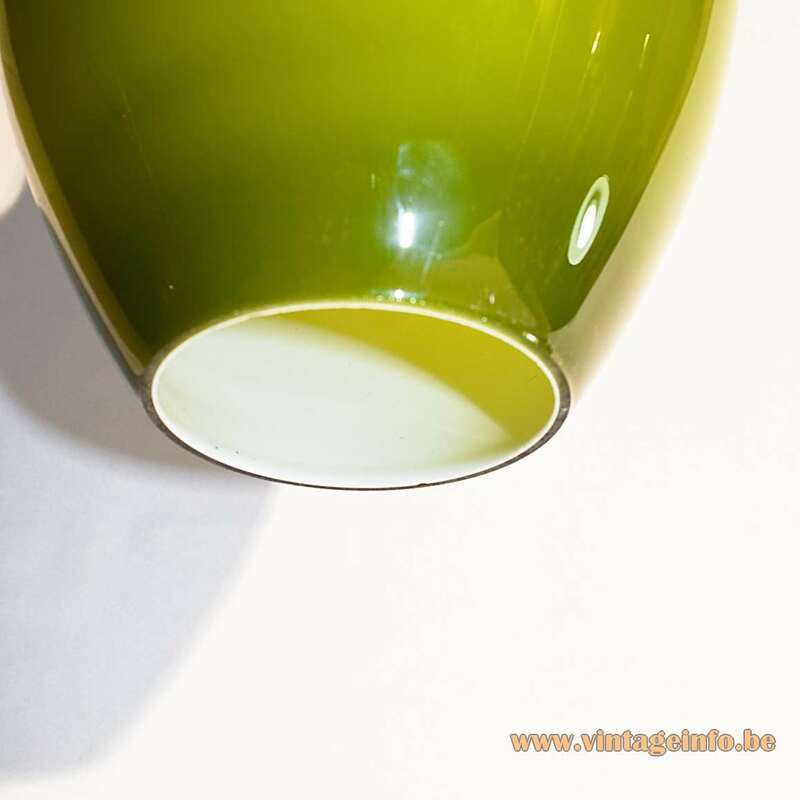 Incamiciato: Overlay lattimo glass (= milky looking glass) with a layer of transparent coloured glass. It’s an Italian word, because the technique was invented on the Murano Island of Venice. 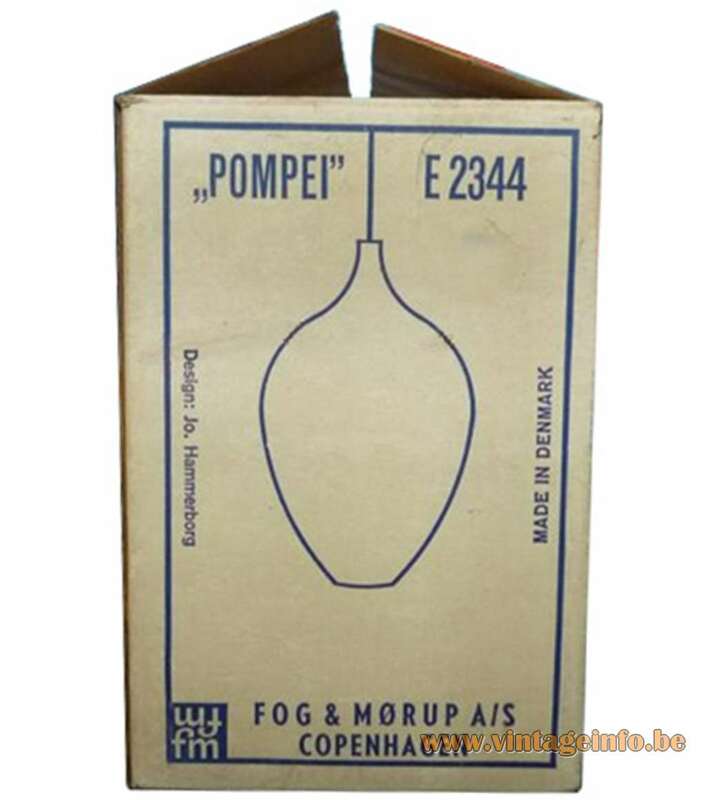 This Pompeï pendant lamp was designed by Jo Hammerborg in 1963 for Fog & Mørup. 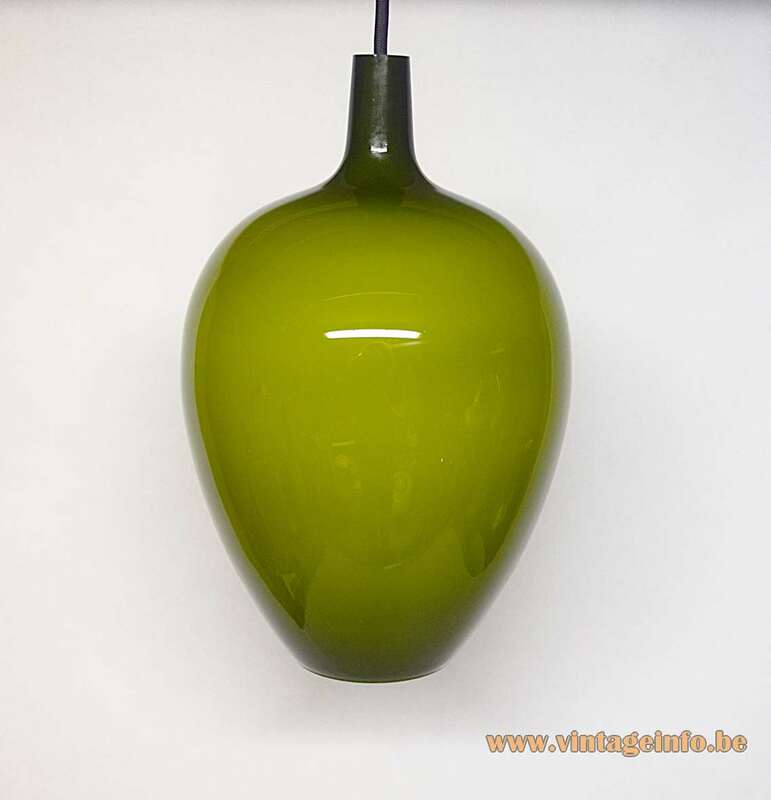 Holmegaard, another Danish company, produced the glass for these lamps. Ansgar Fog (1880-1930) and Erik Mørup (1879-1972) started their business together in 1904 as a metalwork wholesaler. Two years later they moved to the capital Copenhagen and began to focus on lighting production and over the years taking over several electrical and lighting companies. It was only in the early 1960s that Fog & Mørup really emerged as a key force in lighting design, following the company’s appointment in 1957 of Jo Hammerborg as head of design. Important designers and architects that worked for the company are: Claus Bonderup, Torsten Thorup, Sidse Werner. Sophus Frandsen, Jørgen Bo, E. Balslev, Peter Avondoglio,. Karen Clemmensen, Ebbe Clemmensen, Hans Due and off course Jo Hammerborg himself. 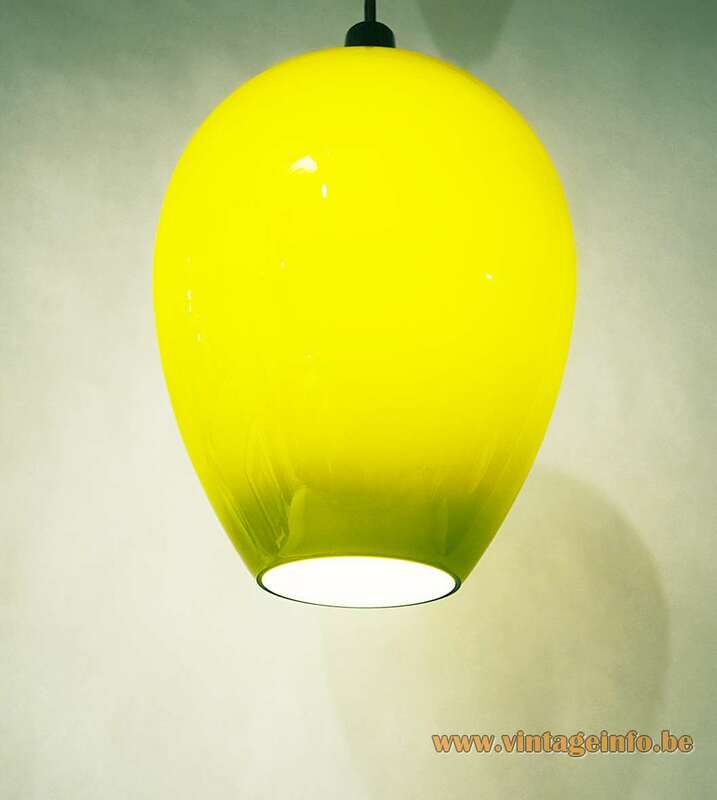 In the late 1970s Fog & Mørup merged with Lyfa, another leading Danish lighting producer. 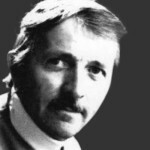 In 1980 Jo Hammerborg retired. A few years later Lyfa-Fog & Mørup was taken over by Lyskær. The name changed in Lyskaer-Lyfa. Lyskaer-Lyfa produced lights until 1991, when it was incorporated into Horn Belysning A/S from Aalstrup, also in Denmark, which was itself taken over in 2005 by Nordlux from Ålborg and at a large extent dismantled. Horn Belysning A/S was founded in 1952 as a family business and was first named E.S. Horn. In 1963 it changed into Horn Belysning – Horn Lighting. 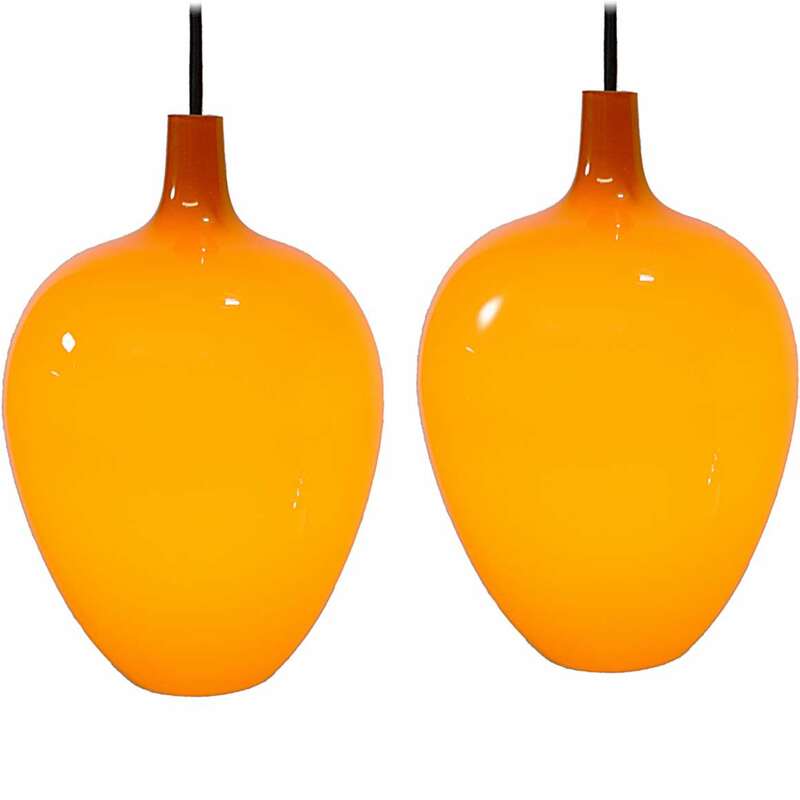 The company produced lights for IKEA and several other European retail chains. They designed lights but also imported lights from China. In the 1980s Horn was the second biggest light company in Denmark. 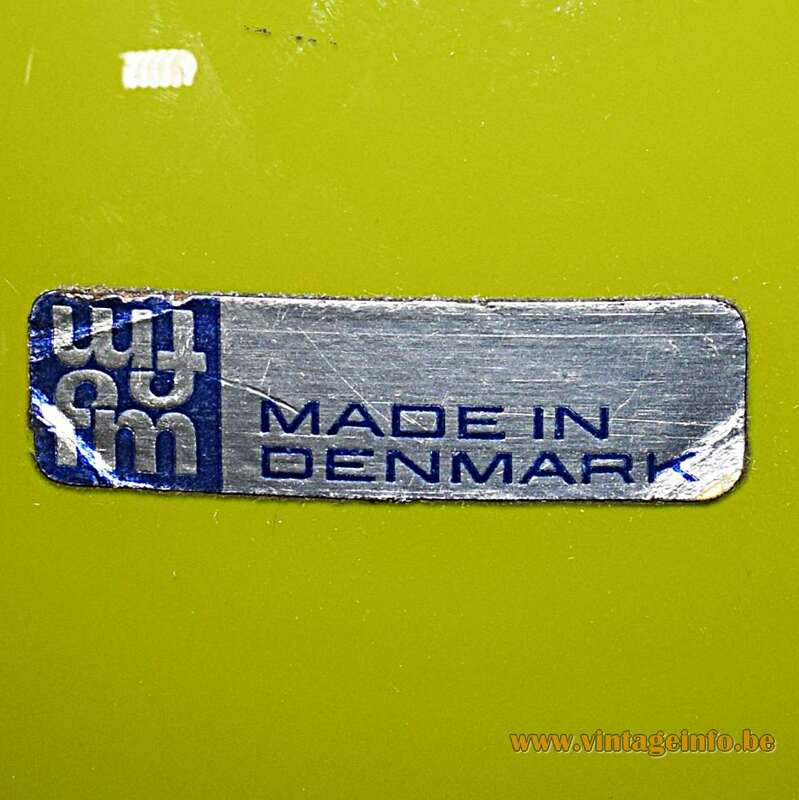 In 2005 the name changed into Lightyears, today owned by Republic of Fritz Hansen. Johannes (Jo) Hammerborg was born on 4 February 1920 in Denmark. In 1957 he became head of design at Fog & Mørup. 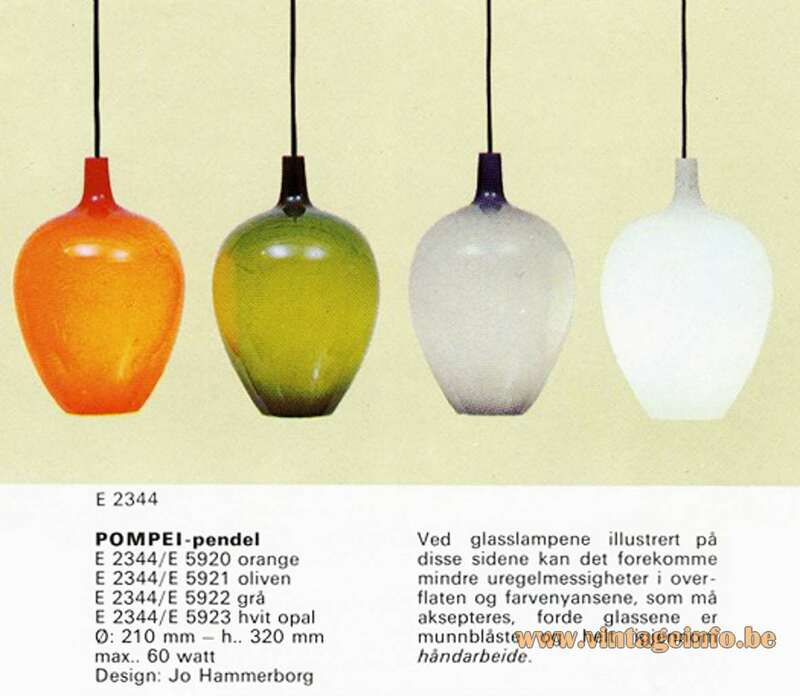 Hammerborg was a prolific designer, personally creating some 100 lamps for Fog & Mørup and also collaborated with other designers in adapting their designs. Jo retired in 1980, only a short time before both his own death in 1982 and the take-over of the company.